I get a lot of emails from mums who want to simplify their life by working less and being home more with their family. It’s not for everyone, but if that’s you, you’ll know one of the main difficulties with being at home more is that you need to work less (or give it up entirely), which also means less income. 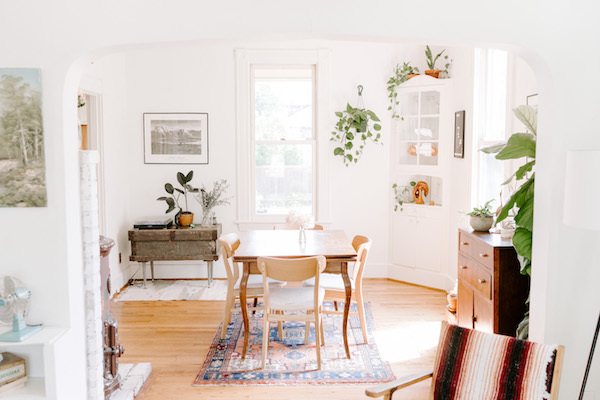 Whether you’re living on half your income (if your partner’s still working) or almost none (if you’re running the household completely on your own), it’s a big change that can feel quite scary at first. So to make it easier, I have a list of 22 ways to live on a much smaller income, while still enjoying a simple life with your family. 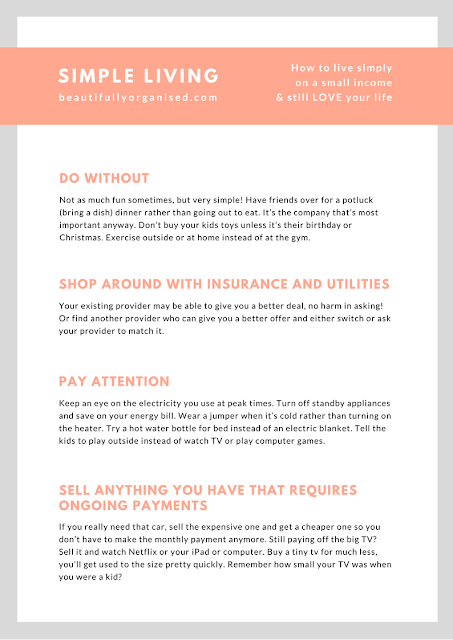 We use these tips ourselves at my house, now that I only work a couple of hours each week at home and my husband works part time and runs his own side business. 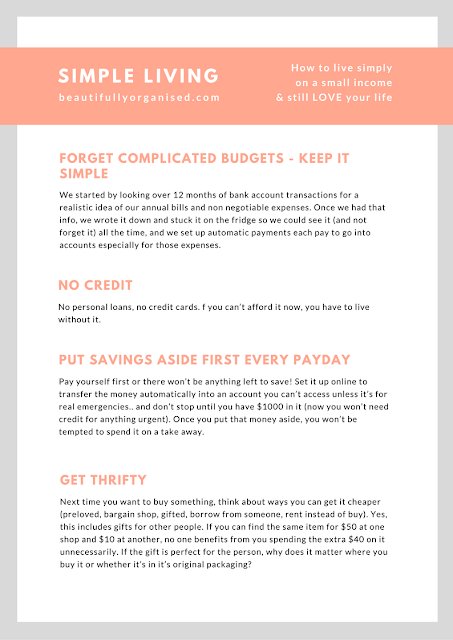 We’re currently putting as much on our mortgage as possible this year so being frugal and thrifty is a big focus for us right now! 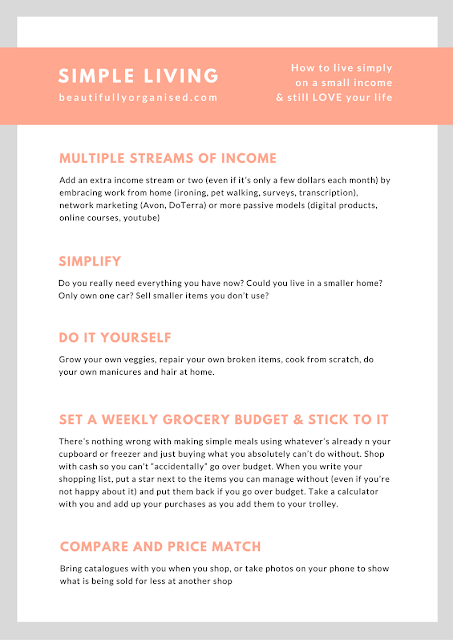 The good news is, once you start trying these ideas, it gets a LOT easier to live well on a small income. Especially if you’re like me and love a puzzle or a little challenge! Click here (or on one of the images below) to download a copy for free from my resource library - perfect for your home management folder! Let me know if they help you, and if there's something you're struggling with that you need a hand simplifying, comment below or send me an email and I'll do my best to help!